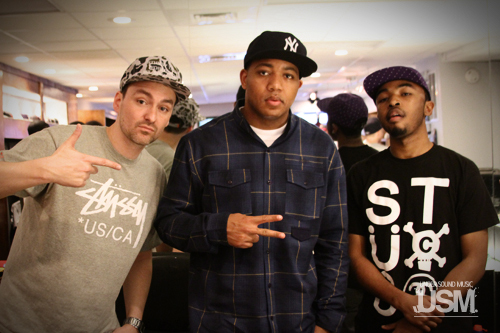 Last night’s listening party and instore with myself, Skyzoo and King Mez was super dope. DJ Face and Jerome Baker III were on the wheels and Flying Dog Brewery supplied enough beer to get us through the event. It really seemed like everyone had a good time and got a chance to meet the artists, see some of the dope new product at Pedx and vibe to some good tunes. We had a number of local MC’s in the house including UllNevaNo, matth, J Berd, Rome Cee, Skarr Akbar and I’m sure I’m forgetting someone as I write this. I just want to thank everyone that helped make the event possible. I had a great time. 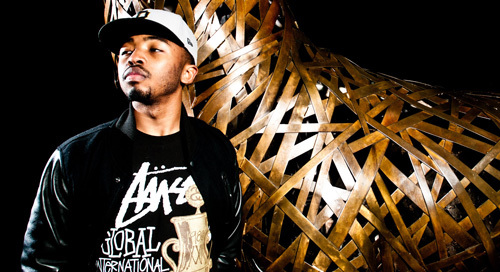 If you haven’t noticed the homie King Mez has been KILLING IT recently. His King’s Khrysis EP with HOJ producer Khrysis and his affiliation with Stussy has really catapulted him into the spotlight. 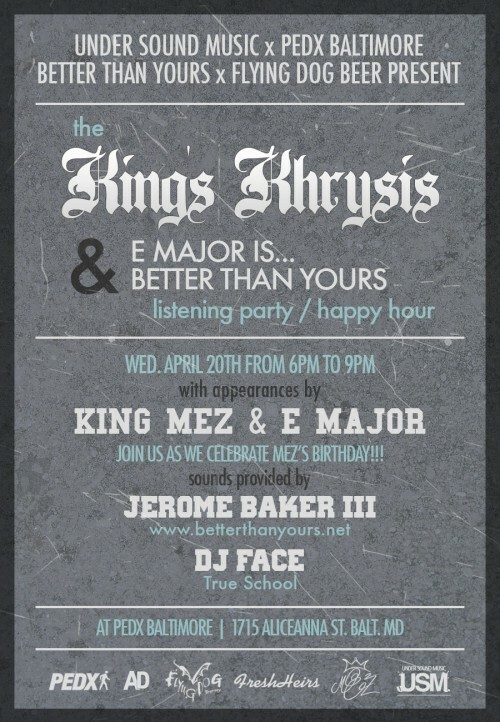 In a couple of weeks we’re having out King’s Khrysis/E Major is… Better Than Yours listening party at Pedx Baltimore along with Mez so I just wanted tip my hat to the young spitter that I just happen to meet at a Pedx event last year and who has since really played the game how it should be played. As a matter of fact, last night he made an appearance on MTV2’s Sucker Free Sunday! And peep the below video to see him on XXLmag.com’s Ustream. Big things a gwan and big thing to come.